What’s going on with reservations for Chirripó National Park? 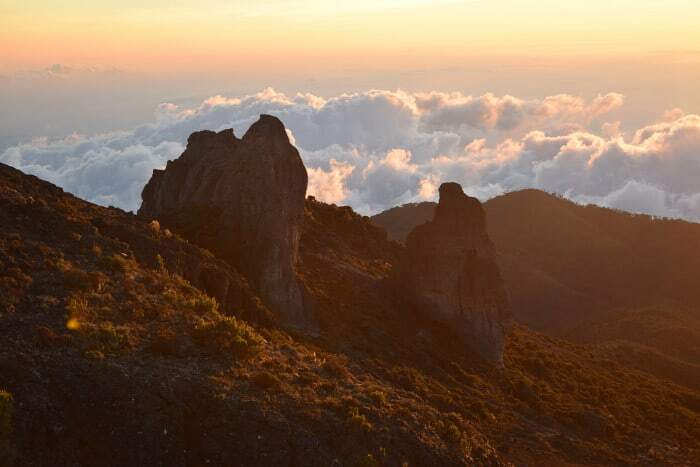 SAN JERÓNIMO, Cartago — They march toward the orange horizon, the sun vanishing beneath their boot soles, while the giant rocks above turn to shadow. 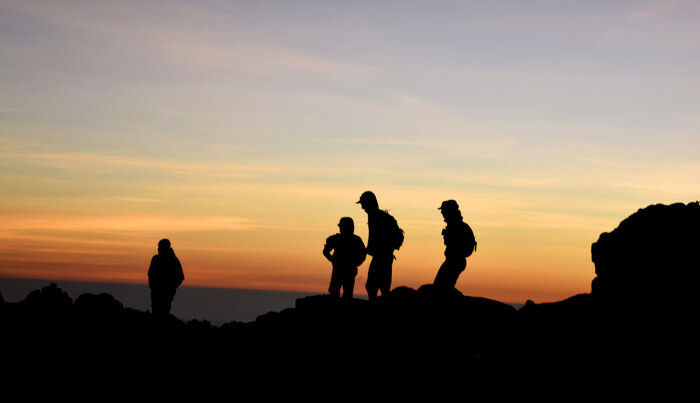 The hikers, too, have become silhouettes against the Talamanca mountain range, where the iconic Crestones rock formation rises like a monumental award erected for those who have made it this far. Thin, waving clouds spill past lower peaks to form a step leading to the Pacific. The last gasps of light reach out to the east with a failing grip, as if trying to point out what lies ahead before night swallows it all. There is Chirripó stenciled black into the dim sky. It takes its name from an indigenous term for eternal waters. And the wind echoes her name between the jagged crevices and bending brush, carrying it until the sun returns tomorrow. 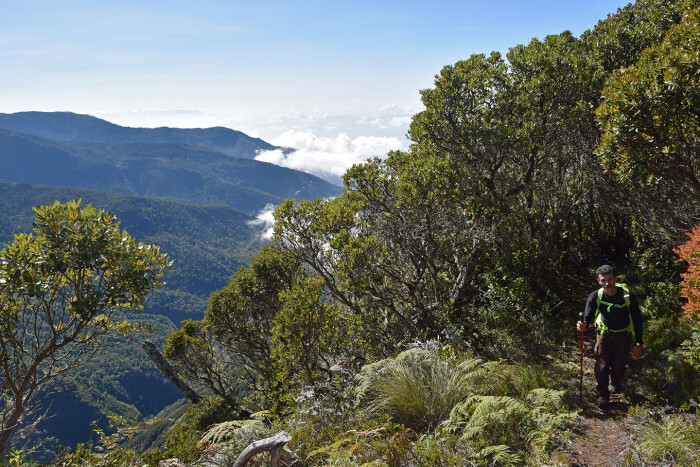 Though it’s the end of a long day for the chain of hikers returning to base camp, it’s the beginning of a new era for the national park that houses Costa Rica’s tallest and best-known peak, Cerro Chirripó. On Monday, a team of hikers led by professional mountaineer Warner Rojas and Freddy Quirós, the head of San Jerónimo’s tourism association, set off on the inauguration of a 14.5-kilometer trail that begins atop the tiny, mountainside pueblo of San Jerónimo and ends at the Crestones base camp in the heart of Chirripó National Park. Eight of them in all cut up through the dense forest that sings with the calls of quetzals, then along the cliffside trails that open up to romantic views, and eventually into a vast coliseum of tall grass surrounded by a wall of mountains. 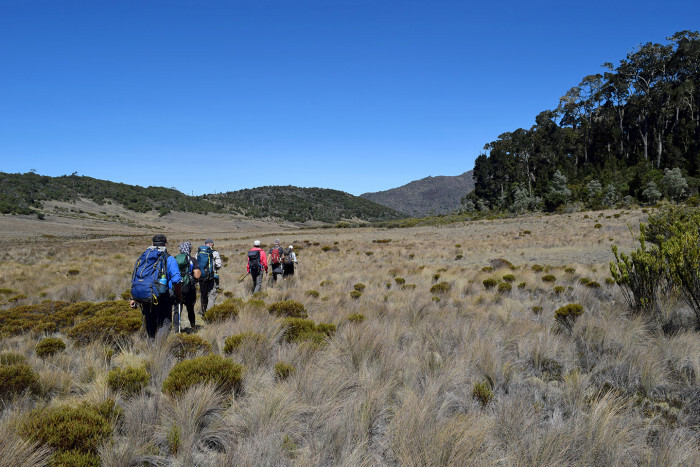 It took them four hours to get to the opening known as La Sabana de Los Leones, which looks more like the Serengeti than the site of a high-mountain hike. After a steep, two-hour climb, they made it to base camp, which intersects with the most popular route from San Gerardo de Rivas. It’s been more than two years in the making for another major route to open on Chirripó. But finally, one month ago, Quirós and fellow town leaders from San Jerónimo signed an agreement with the Environment Ministry’s La Amistad – Pacific Conservation Area (ACLAP) to make the trail legally accessible and, hopefully, draw some tourism to a town where the only steady industries have been coffee and citrus farming. Unlike on the San Gerardo trail, anyone who hikes the path from San Jerónimo must do so with a guide. And there may be no better guide in the whole province than Quirós, whose grandparents helped found San Jerónimo. He is a short, soft-spoken man in his 50s who can stand atop virtually any point in the Talamancas and recite all the visible peaks as if he were rattling off the names of relatives. When someone gets lost in the Talamanca mountain range, they send the Red Cross. When the Red Cross gets lost, they send Freddy. Quirós, who started hiking the new trail in the 1970s while hunting with relatives as a kid, has long been a proponent for opening the route to the public. But, he said, there has been substantial pushback from the people of San Gerardo, who feared losing out on tourism revenue coming into the village, located about 40 kilometers northwest of San Jerónimo. Ronald Chan, the director of ACLAP, said though there may have been protests from town members of San Gerardo, no official organization from the town ever submitted a formal complaint to prevent the opening of the new route in San Jerónimo. He added that San Gerardo and San Jerónimo make up a cluster of multiple villages surrounding Chirripó National Park that are unified under a common ambition of increased tourism. Still, Quirós and townspeople argue that pie is being unfairly divided to favor San Gerardo. 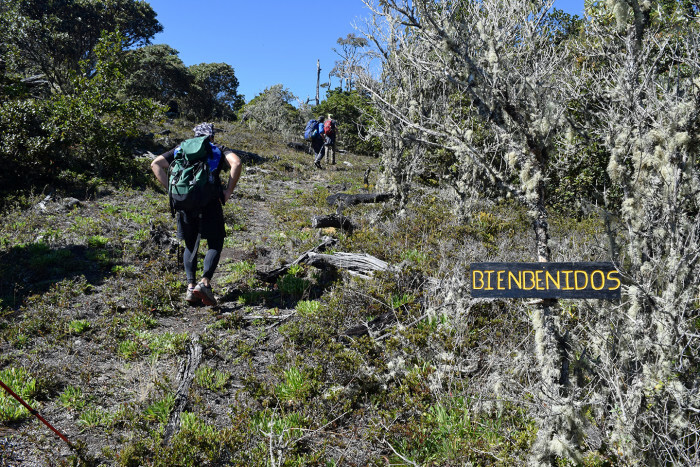 Fifty-two spots are made available per day for hikers going through the San Gerardo route, while just 15 spots per week are awarded to San Jerónimo. At this writing, the official website for Chirripó National Park has a tab for San Gerardo but no mention of San Jerónimo. The trail begins just above San Jerónimo, near the Chakra Eco-lodge, a secluded set of shelter-style lodges fitted like jewels into the encircling crown of mountain. 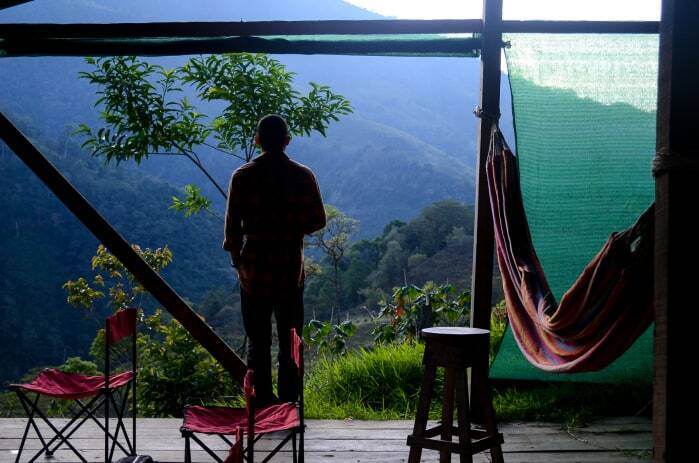 Felipe López, co-owner of the Chakra property, said he expects the new route opening to bring more visitors to his finca, which is the closest overnight lodging to the trailhead. From Chakra, hikers ascend past waterfalls and over log bridges, giving a completely different feel than the San Gerardo route. Fallen branches and unmarked sections may eventually be cleaned up and sorted out, but for now they add a certain charm that makes the trail a more adventurous alternative for Chirripó climbers. Rojas, who became the only Costa Rican to summit Mt. Everest in 2012, estimates that he has hiked the San Gerardo trail to Chirripó some 80 times in his life, mostly while working as a guide for the park. At numerous lookout points and scenic outlays, of which there are many on the San Jerónimo trail, Rojas took out his camera phone and snapped pictures in awe of this other side of the mountain he had never seen before. After all, a mountain promises nothing if not a change in perspective. For the people of San Jerónimo, a different take on the country’s most famous mountain could begin to define their town as a jumping-off point for not just Chirripó, but other adventure tours. With a host of other hikes around, including the relatively unknown Cerro Ena, and opportunities for rappelling down waterfalls or climbing trees, the cloud-crested village is beginning to carve out a niche as a remote but worthwhile adventure destination. 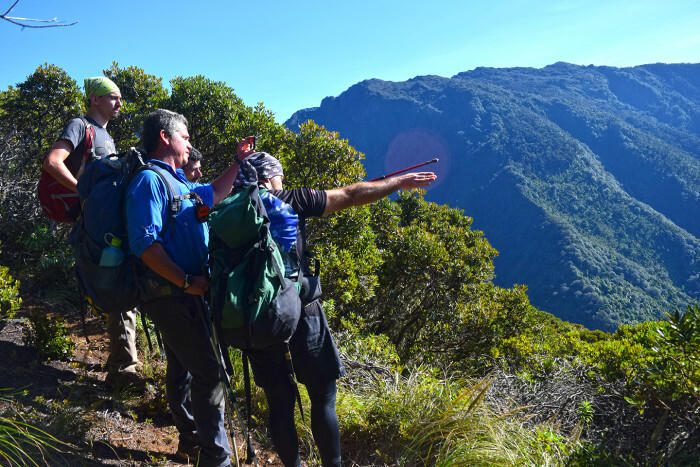 Yamil Jiménez, who is on the town’s tourism board with Quirós and took part in the first official hike Monday, said the new route not only presents an attractive change of pace for adventure-seeking tourists, but can also bring together local businesses to rally around a common goal of increased tourism.